Why Do I Need to Care About Garden Style? 'Garden Styles' is almost an overused phrase in today's garden vocabulary! Unless you are just starting a garden, or have been an armchair gardener and are just getting into your first love affair with your landscape, you get to where you want to ignore all those silly titles and just devour the photos! 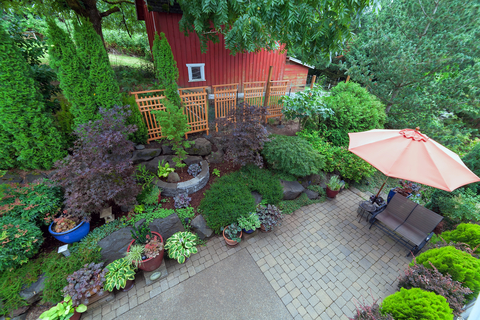 Garden photos are full of ideas, evoke emotions, and delight your senses. Why even think about trying to style the garden? Just plant. And plant some more! 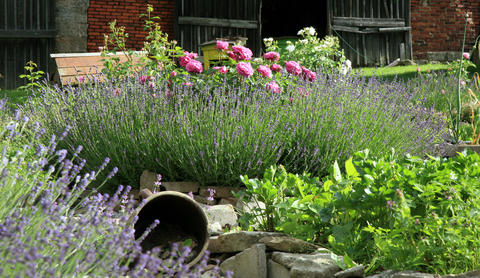 This simple garden is beautiful, but will lose much of it's allure during the cold winter months. Effective planning using garden shrubs or evergreen plantings would have taken this beautiful, but seasonal garden, to new heights. Planting a garden without thinking too much about style is just fine... and can create some extremely beautiful gardens, many of which are stunning during the gardening season. Emerging Daffodil Clump - One of the wonders of nature! 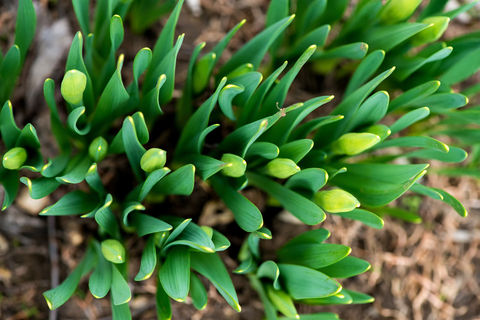 Spring greens poke through the soil, promising more to come, and annuals show their pretty faces in a crescendo of welcome color. 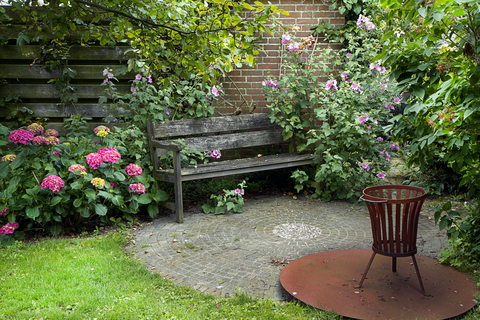 A well planned and romantic corner of a Country Style garden. The garden bench and evergreen garden shrubs will maintain interest once the potted annuals have died back. Containers provide opportunity for seasonal color, even well into the winter months. Summer flowers with their elegant stature and endless variety reflect the sun and bombard your senses. 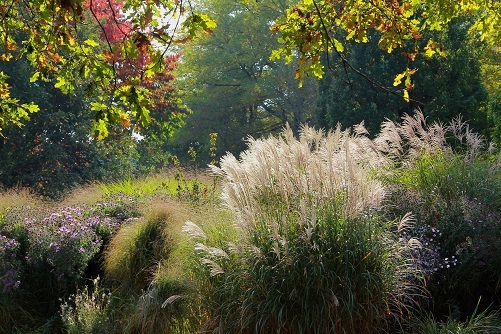 This incredibly winning display of nature at its best will maintain some interest throughout the season, due to its use of landscape trees and ornamental grasses. 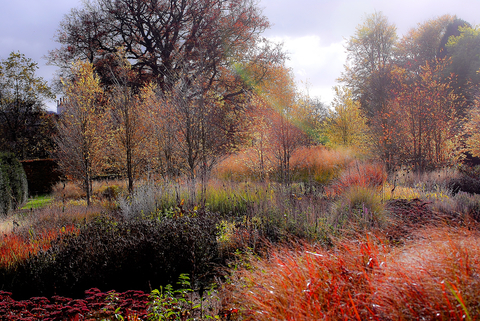 Autumn softness creeps in and overtakes the garden, casting long shadows over plants getting ready to hibernate. This rural garden is typical of many of our gardens. While the winter sun and crisp cool air bring an ethereal beauty of their own, the garden itself lacks much in the way of creative interest, and thus, what is likely an incredibly beautiful garden during the growing season lacks some of the potential that might have been realized. Then there is winter. Er.... what about winter? Well, there is ONE reason to think about garden style! 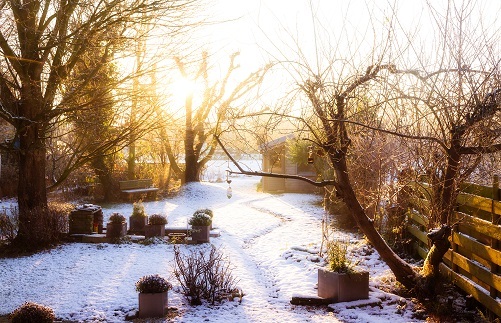 Winter does have it's own unique beauty, but if you haven't planned ahead for those sometimes long months, your garden may suffer a considerable lag in personality. Imagine this little corner of the garden were the circular pond not present. Its addition takes this garden from "just" a part of the scenery to an effective focal point during the winter months! 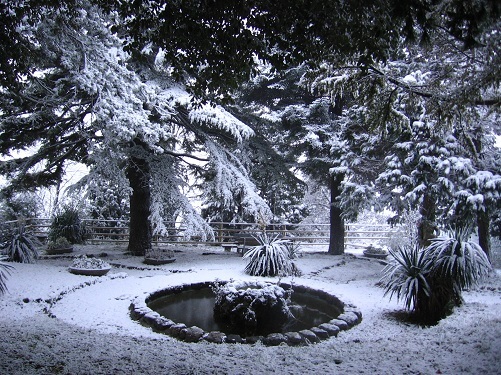 Careful thought during the planning phases of a garden to provide visual cues that evoke a style provides opportunity to capture the imagination and keep your garden looking elegant and artistic, even during those winter months. This residential garden in the city relies heavily upon the use of architecturally interesting walls, arbors and fences to create a lasting, dynamic garden space. Even during the winter months, this garden will be dynamic and interesting. Imagine instead the typical cement walls and iron fences typical of inner city dwellings. Isn't this a big payoff for some up front planning? Creating a garden theme or styling the garden to evoke an emotional response provides plenty of opportunity to personalize your garden in ways that you would not otherwise have thought of. 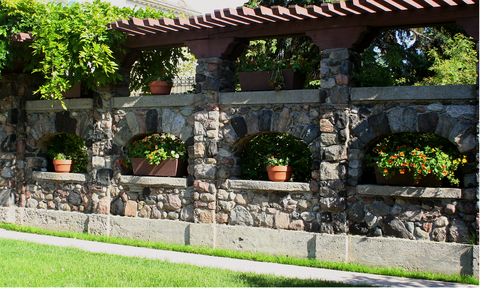 Hardscapes and other garden features such as formal gates, arbors, water features, architectural plants and garden walls all work together to create a personality that soars during the gardening season, and shines throughout the winter too! The careful use of color and form in this garden evoke a delicious feeling of a Tuscan garden on a large estate. Note that this garden mixes the use of symmetrical and asymmetrical elements, creating a delightful tension that enlivens the space. But OH, there is more! Truly wonderful gardens usually have been planned very carefully to arrange the elements of the garden in such a way that a visitors mind is immediately transported. We engage with fragrances, touch, sight, sound and even taste in ways that stimulate us. We “see” images from throughout the world through the gentle persuasion of just a few suggested thoughts. We call that “Garden Style”. How Do Garden Styles Affect my Garden Plan? This Japanese Style Garden shines. There is no lack of interest in this garden during the winter! Everything from placement and choice of plantings to contrast of forms and textures went into this planning effort. The result is a magnificent, enduring tribute to its creator. Even were it to fall into disrepair through neglect, it would retain its beauty. Whether using architectural plants as in a Japanese Garden Space, or planning a Patio Garden on the rooftop with hardscapes and planted containers, your garden not only gets a boost of grandeur during the flowering seasons, but it evokes an emotional response not otherwise likely to occur. 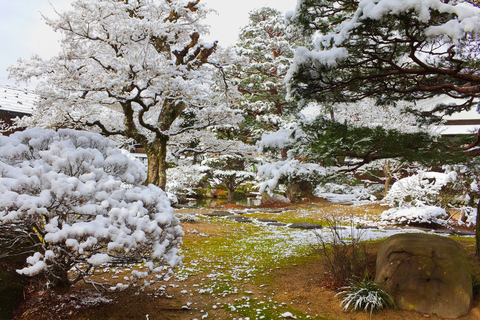 See how beautifully composed this Japanese Garden is? No lack of interest in THIS landscape! This Seattle Rooftop Garden Patio takes full advantage of its unique and awe inspiring views. Repetitive elements and thoughtful application of fencing and pavers give structure to this roof garden, but do not compete with the spectacular views. Planning in action. 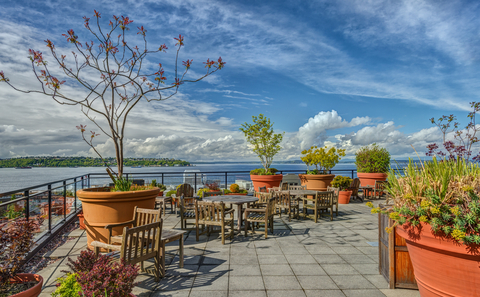 Likewise, this Seattle Rooftop Garden makes the best use of the borrowed view, ensuring that the scale of the Patio Garden matches the enormous scale of the Puget Sound Waterway and the blue Seattle skies! Hey! Wasn't this page supposed to be about garden styles? Well, it IS! The key to a unified and coherent garden style is the planning. It is about the investment of time and money BEFORE purchasing all those pretty plants. It is about understanding your garden location, the soil, the light quality, and your climate AS WELL AS your preferences for a particular style. And it is about nailing your circumstances, the surroundings, and your functional needs. From these elements the garden will evolve into a garden filled with style, that you will also love. The time spent thinking through your garden spaces and visualizing the garden on paper is well worth the effort. You do not have to create professional renderings such as these to have clearly thought through your garden space. A simple plan on a piece of notebook paper suffices, as long as all key questions related to function, aesthetics and placement have been well thought out. Capture your physical needs, match them to the space and to the surroundings! Plan a garden that is both stylish AND functional! Well, are you convinced yet? Using the planning tools provided on this website and in books and other media about the subject can pay BIG dividends. Imagine yourself sitting in those plastic chairs. 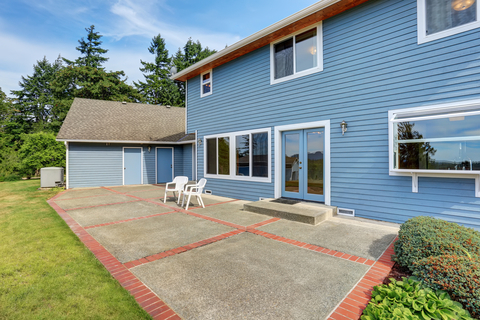 You hope there is a view of the ocean or of someone else's beautifully landscaped back yard, right? This is an example of a garden area that lacked planning and foresight. It is unlikely that it gets much use. 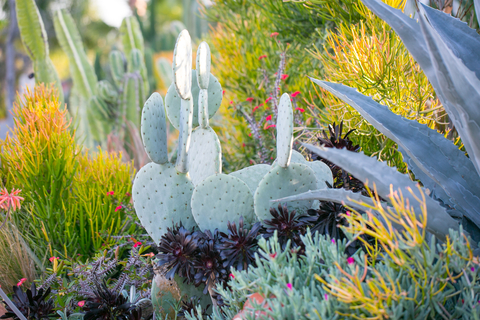 In contrast to the above example of an unplanned garden area, this truly stunning desert garden is a testament to very careful planning of texture, color, and variety of form and shape. This garden will remain beautiful all year round. Only by thinking carefully about your garden will you be able to evolve a garden that is unified, functional, enduring, low maintenance and truly stunning. 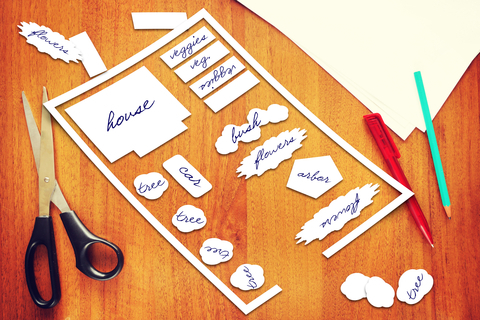 Planning your garden can be as simple as employing a pair of scissors, paper and a pencil. 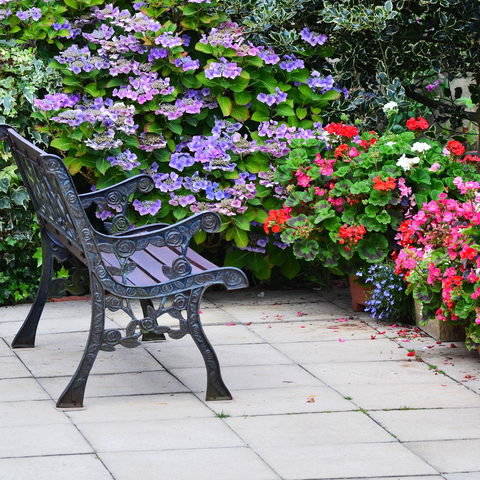 You do not have to be an artist to lay out a beautiful and functional garden space. Work with your garden layout to define large areas that work functionally for you, yet create a unified beauty that is consistent with your surroundings, with your lifestyle, and with your aesthetic preferences. Take the time to personalize your garden! A beautiful and functional small urban garden that is proof of thorough planning. 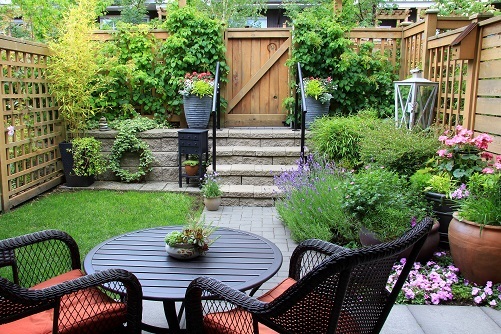 This miniscule space brings together the need for privacy, access, beauty, and maintenance into a pleasantly refreshing garden. There is even a place to sit down and enjoy it! This can all be summed up in one phrase that I KNOW you are familiar with! 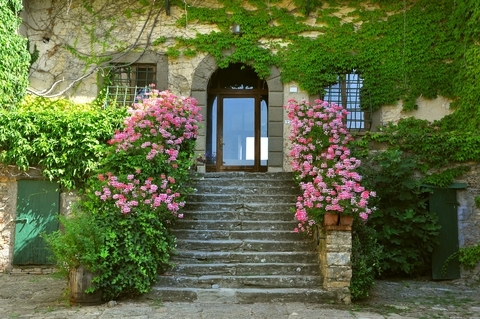 While we think of garden styles as a preference, it is as much about planning as it is style. THAT is what you pay a landscaper for, and it is something YOU can do instead. Find your style through your planning and creative thought. This garden treatment creates a sense of enclosure while maintaining the sense of more garden space beyond the fencing. The effect is a very pleasant landing spot in a garden that might otherwise be very plain, even with the pots and plants dotted around the property. The sense of more beyond creates an emotional response that brings rest and comfort to the garden. 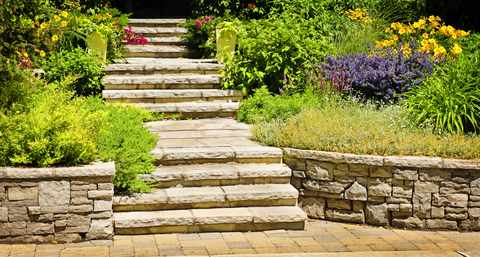 Use garden planning to create features that manipulate the eye into believing your garden is larger than it is. A Contemporary Style garden with enclosures and fencing can separate your space to make you feel like there is much more to the garden. Here is a low maintenance treatment of a space that takes advantage of the best of nature while creating a beautiful autumn focal point for the garden. The structure provided by the trees and ornamental grasses used throughout will maintain interest year round. 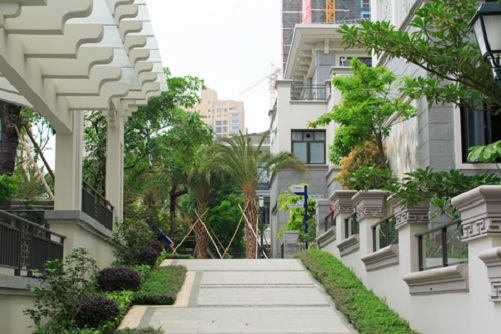 The simple addition of and arbor or other manmade object to this scene would change the sense entirely, and create a more urban feel even to this natural garden. 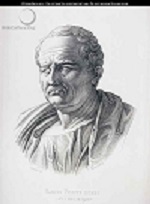 Whether or not you want to add such elements depends entirely upon the answers to the fundamental questions of function and aesthetic. Select a Country Garden full of trees and perennial grasses to fill in larger areas that you don't want to maintain religiously, but DO want to function by adding style and grace to your garden. A lovely little nook that creates a very romantic, enclosed feel. The use of evergreen plantings, hardscape elements and the bench and fire pit create a small garden space that will enchant all year long. Or tickle all your senses by creating a Romantic Country Garden which has plenty of nooks and crannies to carry your garden through winter without a misstep. A beautifully rendered case of "form follows function". These very functional stairs lend an unbelievable air of elegance to a garden made up mostly of perennials and small conifers. Yet its beauty is going to be enduring, even when illness or other ill wind passes, and gardening maintenance chores must suffer. This enduring element could grace nearly any garden from a Mediterranean beauty to Naturalistic garden, and be right at home. 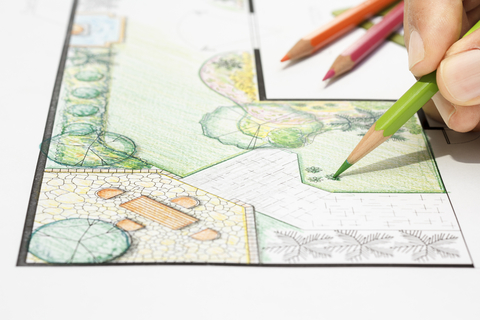 See the sidebar above for lots of ideas about creating many different garden styles by incorporating specific plants, design elements, and hardscape into your garden plan! All it takes is a little garden know how, which you can get here, and you can create any garden style with as much beauty as any landscaper, and inject much MORE of your own personality into your garden! Let's close with a quote that sums up the essence of the attitudes we need to adopt as a do it yourself landscaper. Us modern folks are not the only ones who knew how to do things themselves!